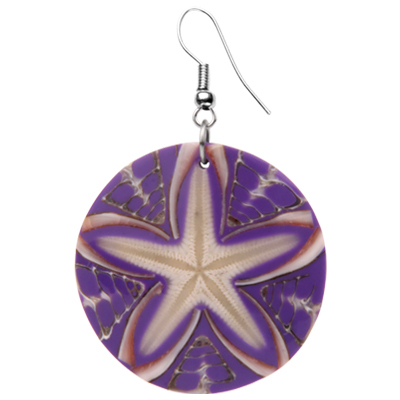 Earring with sea star & chong-chong. Necklace with sea star, chong-chong & sand glass beads. Bracelet with sea star, chong-chong & sand glass beads.